Glen Humphries occupies a rare position. 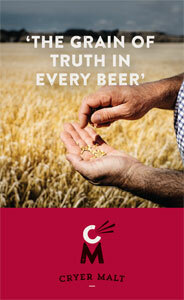 And not because he's one of just three winners of the Australian International Beer Awards Beer Media trophy to date. It's because he writes a regular newspaper column on beer. 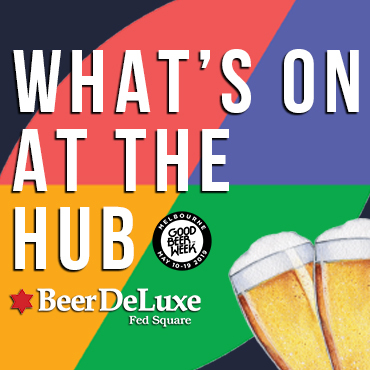 Despite the phenomenal growth of craft beer in Australia in recent years – to the point where there are more brewing companies than ever before, more venues celebrating good beer and some of the world's best beer festivals held here every year – beer remains very much a poor relation in the media. Food and wine columns and shows dedicated to cooking are ubiquitous. Yet beer usually tends to make the media for reasons of novelty (Carrots! Whale vomit! Belly buttons! A woman brewing!) and fluctuates between occasional well-informed pieces with a finger on or at least close to the pulse and rather ordinary, error strewn articles cobbled together by whoever was left in the office when the editor decided to run an article on "this craft beer thing everyone's talking about". "You drink beer, don't you?" "Great. Can you write an article related to this fancy six-pack that just landed on my desk? Something about it being expensive and for hipsters would be ideal." It's a little like asking someone to cover the war in the Middle East because they own both Three Kings and Jarhead on DVD and went paintballing on their bucks do. All of which makes the efforts of people like Glen (who admits the Illawarra Mercury's beer column, which started when the paper's wine writer handed him a six-pack of Cascade First Harvest, would probably fizzle out if he wasn't there) more valuable. Because, whatever qualms people might have about the standards and veracity of contemporary media, there's still a base level of trust readers place in an established masthead – one that's greater than most would put in a niche publication. That said, Glen covers plenty of bases in his writing. The decision to award the AIBA trophy came predominantly on the back of his writing on Beer Is Your Friend, the blog he started four years ago this month. It was an award that took him by surprise (hence holding the trophy the wrong way around in the official photograph at the top) but one that was agreed unanimously by the three judges. They described his writing as "engaging, approachable and varied with some great originality" in feedback that has encouraged him to go back and rewrite a beer book he's been compiling in his spare time. It's not his first book; indeed, he's written a couple of plays too and says he actually reads more than he writes. Quite how the 46-year-old has the time for a job, a wife, an eight-year-old daughter who's been trained to refer to bottleshops as "the daddy shop", and a "needy Staffie cross" called Sunday is quite remarkable. "I keep thinking I'm not prolific," he says, "then I look back at the blog and see I'm posting four or five times a week. "I think I haven't written anything in a while then I realise I'm writing a book." He says it's like scratching an itch. A lot of his writing outside work, including a music webzine he created, started when he was working as a sub-editor at the paper charged with tidying up others' work. But it has continued since he moved into the journalist's side of the office, filling spare moments at weekends and lunch breaks. "Writing is a muscle," he says. "If you exercise more it gets stronger and better." We first featured his site on Crafty here back in 2013. Now, on the back of his recent triumph, we returned to find out what's happened since, what drives him to write and what advice he has for others writing – or thinking of writing – about beer. 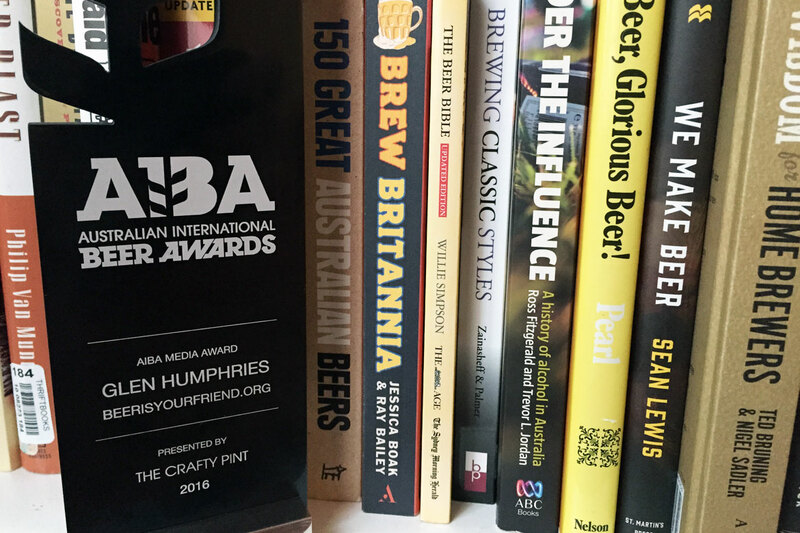 Glen's trophy – the right way around – amid his library of beer books. You write and have written about much more than beer. Can you tell us about your life in writing? The bulk of my writing has been as a full ­time journalist and I’ve covered a range of topics. At the moment I cover the transport and infrastructure round but have previously been a council reporter, night reporter, community news reporter, feature writer and entertainment writer. That last one was special as it included movie reviews. You know a job is good when you get to go to the movies (for free!) during the day and have it classed as “work”. Outside of the office I have written an unpublished novel, an unpublished book about a year playing Aussie rules for a suburban team and another unpublished book about following my favourite league team, the St George Illawarra Dragons. I’ve also written two short plays, both of which have been performed. One was The Old Man of Steel, which was about superheroes in a retirement home and the other was 668: The Neighbour of the Beast, about a guy who finds out he lives next­ door to the devil. At the moment I’m working on a book called The Slab: 24 Stories About Australian Beer. It’s a book that looks at moments in Australian history where beer played a part ­that includes how we got to six o’clock closing, which part of Australia started out dry, the tale of David Boon allegedly setting a drinking record from Australia to England and the idea of the Darwin stubbie. Was there a moment that inspired you to start writing about beer? Not really but there are plenty of moments that inspire me to continue. That could be a great beer I tried, a dodgy label, a lovely venue or a topic that makes me cranky (at the moment it’s the relentless stupidity of trying to market beer to women by giving it girly names and putting it in pink bottles. Never worked and never will). And was there a moment or beer that turned you on to the fact there was more than lager? I had drunk things like Redback when it first came out (and had the label printed on the glass rather than stuck on with glue). I liked it but it didn’t change anything for me in terms of beer drinking. The moment for me was when my wife started liking Sauvignon Blanc from Marlborough in New Zealand. We got into exploring wine and would buy a different bottle each week. She got interested in that Sauv Blanc and wanted to buy it every week. My taste buds couldn’t handle drinking the same thing week after week, so I started buying a few different beers each week. Best decision I ever made. And I still can’t stand Marlborough Sauv Blanc. A lot of blogs are short­-lived; what has kept you going for four years and counting? Glen enjoying the wares at one of his local breweries, Illawarra Brewing Company. I still enjoy it. It really is that simple. There’s no money in this so it’s something I do because I enjoy it. I actually have made attempts to rein in the amount I write because I want to give myself a break but, within a week or two, the writing creeps back up to the old levels. I can’t help myself. Also, I’ll be honest: the level of fame that comes with it is nice. Even if it is most likely a relatively small level of fame. Whether that be a brewer giving you a big hug because of something nice you wrote about them (that would be Jayne from Two Birds due to my Taco fanboy nature) or readers getting a little excited when they meet you in person and go: “Oh, it’s you!”. Or the overwhelming level of congratulations that came through Twitter after I won the award. Any advice for other beer writers or those considering throwing their hat into the ring? Quit pissfarting around and just start writing. No blog is ever is fully formed when it begins, there’s inevitably an amount of growing up in public. I still start up regular features only to jettison them after a few months because they don’t work. 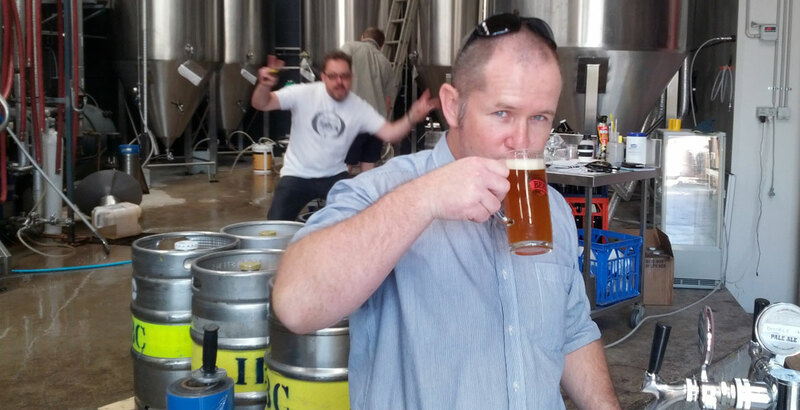 You’ll find the beer­ writing community in Australia is quite open and friendly. And willing to give advice. So get cracking. What do you reckon is your best article? This answer took some time ­– not because I reckon I’ve got so many awesome posts. But more because, as a journalist, my approach to writing is “you file it and then move onto the next story”. So I have trouble remembering a lot of what I’ve written, because I’m focusing on the next thing rather than the last thing. Not sure I could come up with a favourite, but here are some nominees. Off the top of my head, I’m partial to the History in a Bottle series, one of which was entered in the beer awards. I also like the open letter I wrote to Two Birds begging for them to put Taco in bottles; that seemed to strike a chord with a lot of people. The crankiest beer listicle ever was fun to write and got a few things off my chest. Sadly, none of them came close to being the most popular post in the history of the site. That mantle belongs to the post I wrote about XXXX Gold Australian Pale Ale, which has more than 9,000 hits since it appeared in July last year. One of Glen's History in a Bottle articles looked into the naming of Shenanigans' Winston. What do you bring to Australia's beer writing landscape that's unique? I’d like to think I bring an entertaining, slightly off­ centre, not-­always-­serious view of beer. Sure, I think beer is important but I don’t think it’s something to get all worked up about all of the time. At the end of the day beer is supposed to be for fun, for enjoyment. That’s why I no longer care whether someone drinks craft beer or mainstream beer –­ if that’s what they like then that’s fine. In terms of writing, I do try and keep things a bit on the light and amusing side. I figure people have a lot of demands on their time so, if they choose to spend some of that time reading my blog, I should at least try to make it fun or interesting (or both) for them. The worst thing I would want is for a reader to come away from the blog feeling “meh”. Inspiring any emotion in a reader ­– good or bad –­ is always preferable to no emotion at all. (I should mention this doesn’t mean I write “controversial” stuff just for the sake of creating controversy. Anything I’ve written on the blog has been an honestly­ held opinion). What's your feeling on the standard of coverage of beer in the Australian media? It’s alright, I guess. As someone in the media, I try not to get too worked up about dodgy coverage because I understand the realities of the industry. Those stories tend to be assigned to whoever is free ­ like most other stories that don’t fall into a specific round. So it’s inevitable that someone who doesn’t really know about beer will write one from time to time. 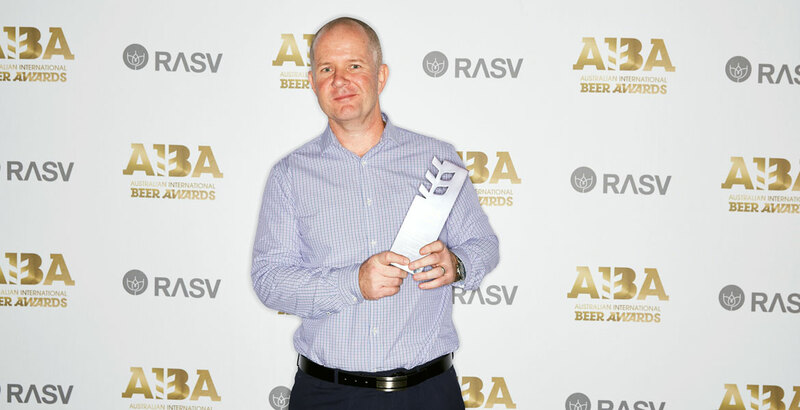 I guess the Wollongong beer community is lucky they’ve got a guy at the newspaper who knows a bit about beer (and maybe even won an award for writing about it). But I know it can be tricky to write my newspaper beer stuff in such a way that it appeals to the general reader but also doesn’t irritate those who care about beer. That’s a real balancing act sometimes. What could be done to improve things? Have someone at each media outlet who likes beer and is happy to be the one who writes about it. Realistically, that will mean one maybe two stories a week. For someone who is interested in that field, it’s really not much in the way of extra effort. Oh, and go easy on the intentionally click baity stuff. I’m thinking of that “beer hipster” column a while ago. As a journalist and writer I’m no great fan of the sort of writing that is solely designed to stir up controversy. How did you toast your win? Quietly. Last year’s winner, Luke, bought me a beer at Beer Deluxe afterwards and then I went back to the hotel room. I had a big day at GABS and didn’t want to approach that with a hangover. The older I get the more frightening hangovers become. So I’ve worked out they’re best avoided wherever possible. If you could have chosen to toast the win with any beer in the world in any place in the world, what would you be drinking and where? I reckon I wouldn’t have changed a thing. Even if I had the chance, the reality of winning was exciting enough as it was. Thanks, Glen, and congrats again on the win. You can check out Beer Is Your Friend here.